Why does my utility provider charge me more and more every year? Believe it or not, utility costs go up EVERY YEAR NATIONWIDE on average of 5.4%. South Carolina sits slightly below that mark at a 3-5% increase every year depending on your utility. The costs of residential power have risen consistently since the 60s due to inflation, local grid upkeep, construction projects, and utility execs consistently trying to increase profits for their shareholders. Remember people, our utility providers are FOR-PROFIT companies not government agencies. Lock your rate in now with solar and be free from this. 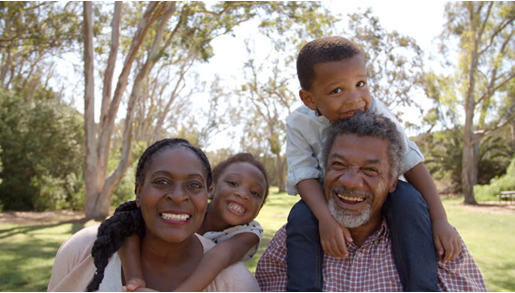 Check out our blog for the most recent news on utility increases. Utility Companies Love When You Pay More. Every Year. 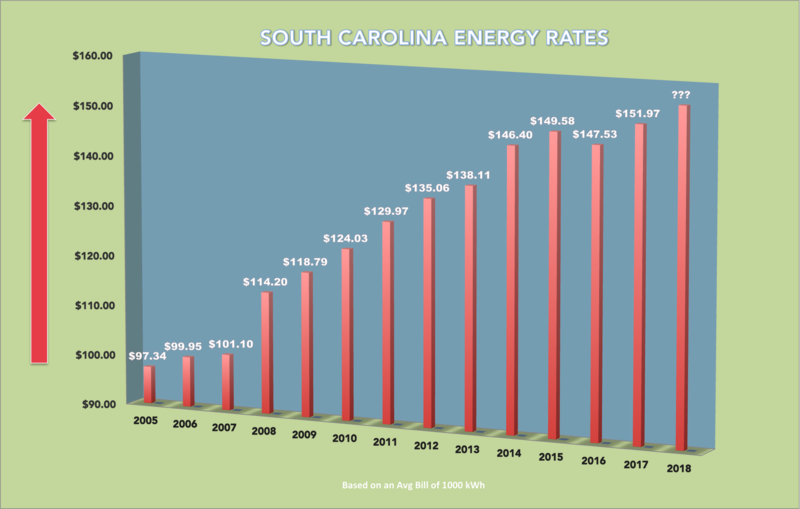 Over the past 13 years, SCE&G have increased on average just under 5% every single year. This means every single year on average your bill will increase about 5% every year. If your bill is 200$ on average today it will be $210 next year, $220 the following so on and so forth. This gets extremely expensive over time see the graph above. Your actual utility rates every year. Straight from the Regulatory Staff of SC. Imagine if you made this decision in 2005. It’s never too late! Grid Power is EXPENSIVE. You finally have other options! Non-localized Power is INCREASING expensive. Non-localized Power means power that is not generated and used at its source. 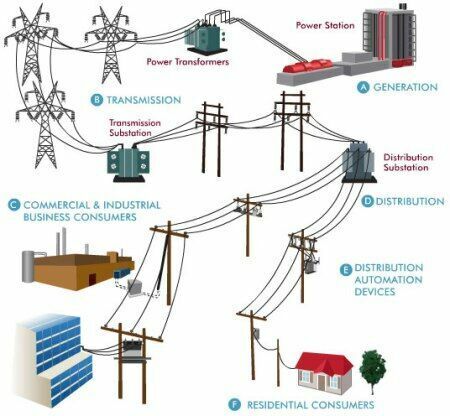 We generate power from power plants that are usually 100s of miles away from our homes and transmit that energy through a network of Transmission lines, substations, transformers, and distribution lines before we receive it. 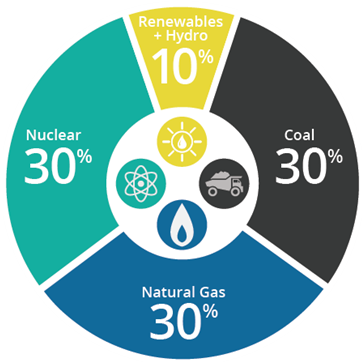 90% of our power comes from “Dirty Power” (Coal, Nuclear, Natural Gas) All of these power sources cause air and water pollution over time. We are paying to slowly destroy our local environments not only for our future, but our children and grandchildren’s futures. Give them a chance, go solar today; it’s cheaper than what you are doing now. Arsenic, selenium, boron, cadmium, mercury, and lead are released into our waterways, polluting our drinking water, fishing areas, and local rivers and streams. Cancer, Skin diseases, damages reproductive organs, Shortens life span are all a by product of this type of power generation. Although natural gas burns cleaner than coal, methane is a primary component of natural gas, which is 34 times more potent than carbon dioxide (CO2) at trapping heat. If mismanaged, hydraulic fracturing fluid—which contains potentially hazardous chemicals—could be released through spills, leaks, faulty well construction, or other exposure pathways. These releases could contaminate surrounding areas. Hydraulic fracturing produces large amounts of wastewater at the surface, which may contain dissolved chemicals and other contaminants that require treatment before disposal or reuse. Because of the quantities of water produced and the complexities inherent in treating some of the wastewater components, proper treatment and disposal of the wastewater is important.